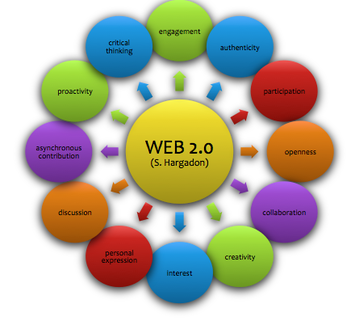 2.1 What is Web 2.0? The Global One-Room Schoolhouse: John Seely Brown (Highlights from his "Entrepreneurial Learner" Keynote at DML2012) from Connected Learning Alliance on Vimeo. What about Web 3.0? or Web 4.0? 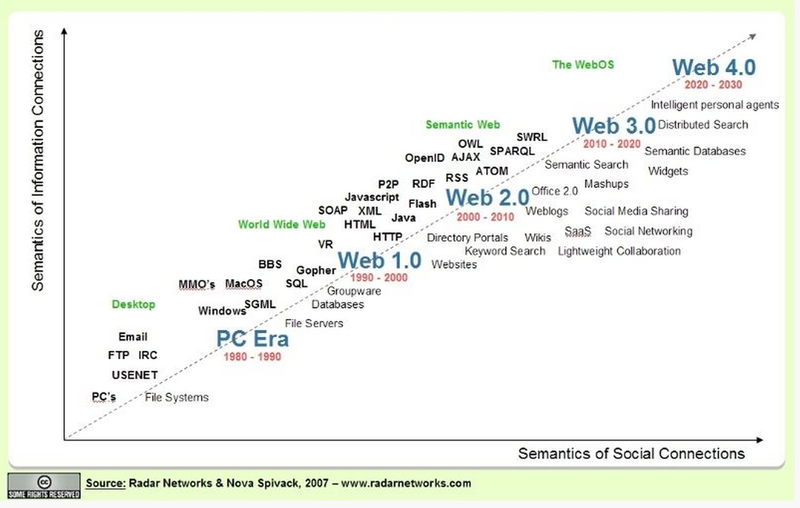 The semantic web, otherwise called Web 3.0, is developing in current digital environments. This 'intelligent web' is semantically linked to individuals. Characteristics of Web 3.0 include openness, interoperability, global data collection, 3-dimensional creations, information control, all while using semantic technologies. Is Web 4.0 being developed? How will these iterations of digital technology impact teachers and learners? To learn more about how knowledge construction, personal learning networks and personal educational administration will mean for the future of teaching and learning, read Jason Ohler's article The Semantic Web in Education. Alexander, B. (2006) Web 2.0: A new wave of innovation for teaching and learning. Educause Review 41(2) 32-44.